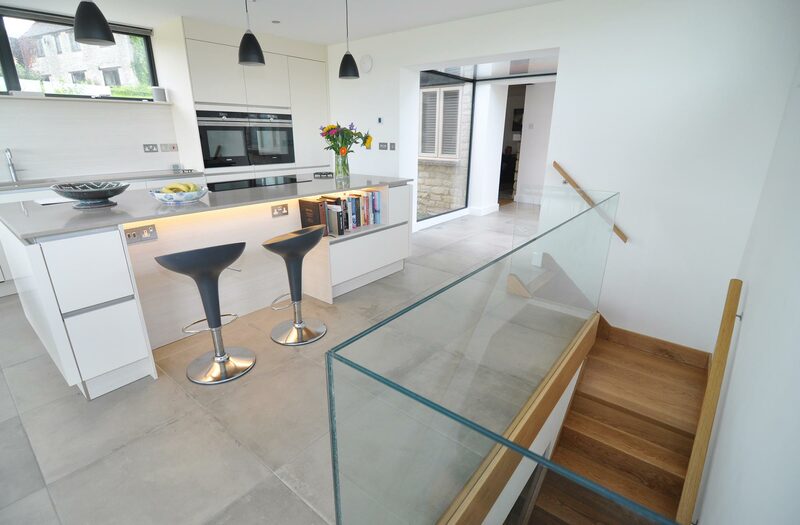 The Cleeve Hill kitchen project is part of a modern extension to an old barn. 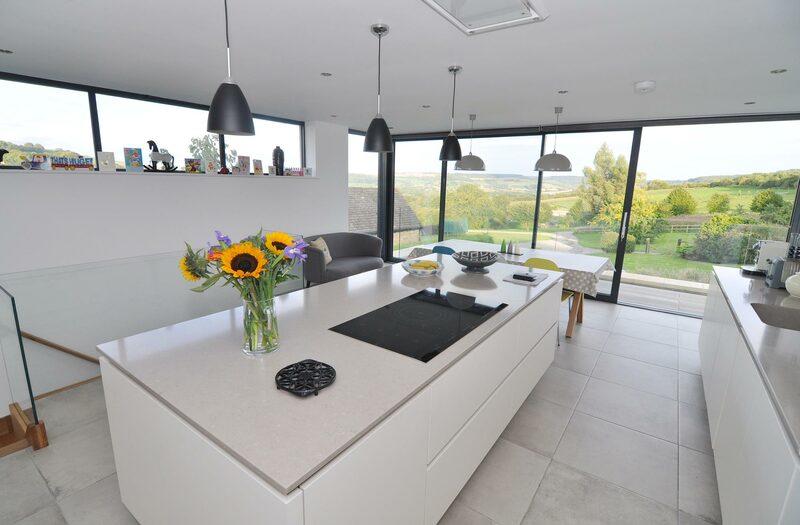 The open plan kitchen boasts an island with plenty of space for a table overlooking the beautiful views from Cleeve Hill. The kitchen is an off-white tone with pale timber panelling to match. The Silestone worktops are completely integrated into the sink with a Due match sink of the same material. The splashbacks, and under the breakfast bar, are toned in the same pale timber accent. 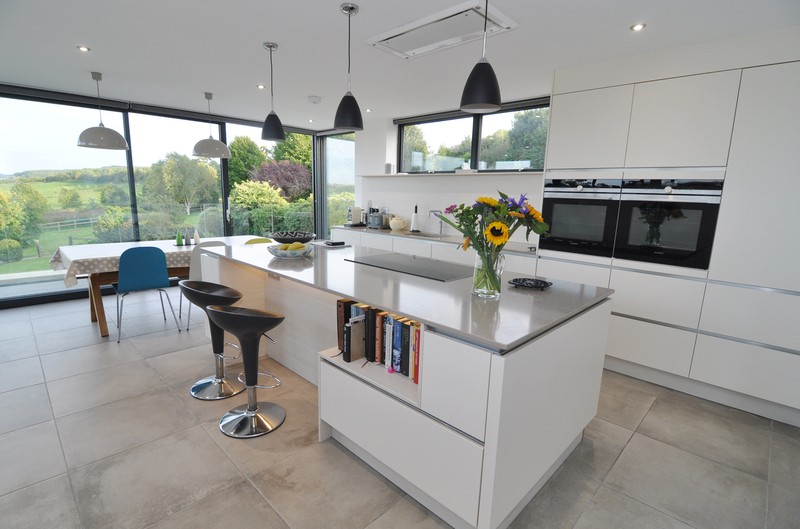 The Beton concrete finish porcelain floor tiles enhance the light pouring into the kitchen. 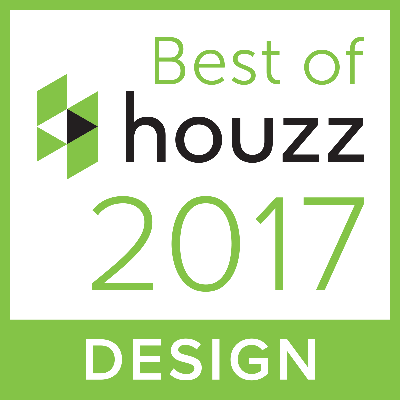 Other features include a flush fitting ceiling extractor fan, all Siemens appliances, neat book storage and under worktop lighting. Additionally there is a Quooker boiling water tap. From a design point of view the pleasing thing about the kitchen is the return panel to the left of the ovens which seamlessly goes into the window reveal. Additionally the splashback goes up to the sill with a shelf integrated into the window. This blurs all the lines and makes it very pleasing to the eye.